The elimination of postage, paper and data entry costs. Data is available almost immediately and can easily be imported into data analysis software. Skip patterns and question logic can be easily programmed into the questionnaire. It is simple to send reminders and follow ups to participants. The cost of surveying additional respondents is minimised. It is convenient for respondents, who can complete the questionnaire at their leisure. Reduction of the interviewer effect on participants responses. Questions cannot be clarified and probed out as they could be in face to face or telephone questionnaires. Sample are limited to populations who have access to the Internet. It can be difficult to convert initially unwilling participants to take part in the research, as online messages can be easily ignored or overlooked. Creating a questionnaire app recquires some level of software knowledge, or the resources to hire a developer, to create the tool. Web-Based Surveys: This website from the Journal of Extension (JOE) provides a guide to the purpose and use of web-based surveys. Conducting Online Surveys: This book is a complete guide to conducting survey research using digital modalities. Lessons Learned Using Online Survey Software: This blog post from Susan Kristler provides an overview of the various strengths and weaknesses of using online survey software. BetterEvaluation FAQ: How do you go about analyzing data that has been collected from respondents via a questionnaire? 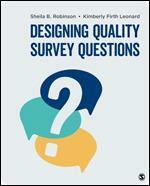 I use the book of Valerie Sue and Lois Ritter 'Conducting Online Surveys' from Sage. Description: This book is a complete guide to conducting survey research using digital modalities. 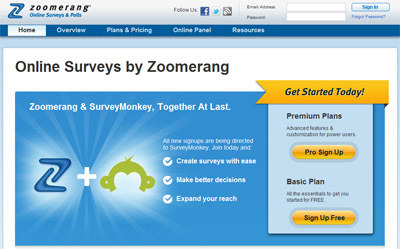 Many topics discussed, such as developing online and mobile questionnaires, are unique to digital surveys, whereas others, such as creating reliable survey questions, are common to all survey environments. The expansion of low-cost software options has opened up this area to a broad range of researchers, and the need for a comprehensive text for developing, implementing, and reporting digital surveys is greater than ever. This Second Edition reflects the significant developments in technology and the methodological literature since the publication of the First Edition. It captures in one single volume everything you need to know about conducting digital surveys from start to finish.